The updates continue. (In fact, you can expect the bulk of the rest of them will be completed on Tuesday.) For now, though, the big six have been completed. Previously, Picture, Director, and Lead Actress were revised. 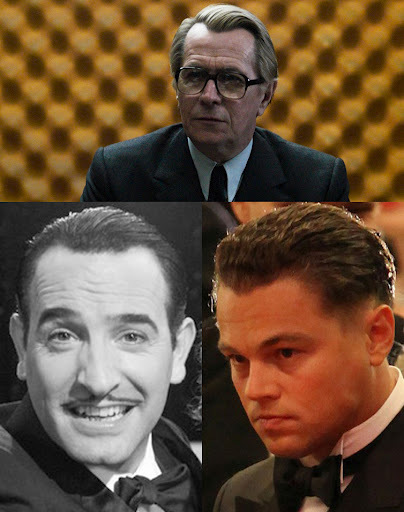 This time around, we’ve got Supporting Actor, which didn’t see a whole lot of shifting (Where are the guys of 2011 and why haven’t they made themselves more obvious? 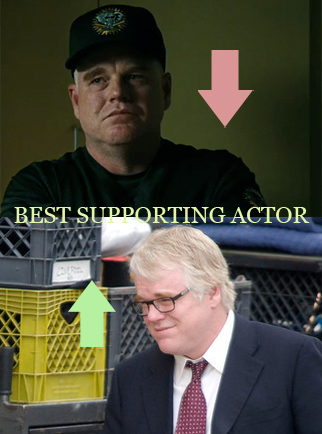 ), other than my decrease in over-confidence about Moneyball, which caused me to swap my Philip Seymour Hoffman placements. Looks like Jonah Hill might be a stronger candidate than Hoffman in the end for the former, but the Oscars love him, so I’m promoting the latter. As far as Lead Actor, things just keep getting weirder with the Sean Penn This Must Be the Place performance – the teaser is interesting but wholly bizarre, and buzz is getting a little spotty now. Beyond that, Dujardin and Oldman got promotions due to high praise and very intriguing promo material. Oh, and a Ryan Gosling canceling out situation seems so unfortunately likely at this point. In the Supporting Actress category, it seems as though The Artist‘s taking over my charts and Extremely Loud and Incredibly Close getting a 2011 release has shoved out Chastain and McTeer in favor of Bejo and Bullock.